Do you exfoliate your skin? But after experiencing windchills of -35 for most of February, my skin was in rough shape, and even though I recently purchased the most spectacular set of makeup brushes I’ve ever owned in my entire life, my makeup looked cakey and drew attention to my wrinkles, blemishes, and dry spots. So one day, while my daughter was enjoying music time at preschool, I went to talk to the beauty expert at our local pharmacy, and before I could even tell her what my woes were, she told me I need to start exfoliating my skin. Of course, she tried to convince me I needed the most expensive products on the market, and while I love love love the Murad AHA/BHA Exfoliating Cleanser, I decided to save myself the money and see what I could find on Pinterest instead. There are HEAPS of different DIY exfoliating scrubs out there, and after testing a few out over the last little while, I’ve noticed a huge change in how my skin looks and feels. Here are 10 of my favorites! 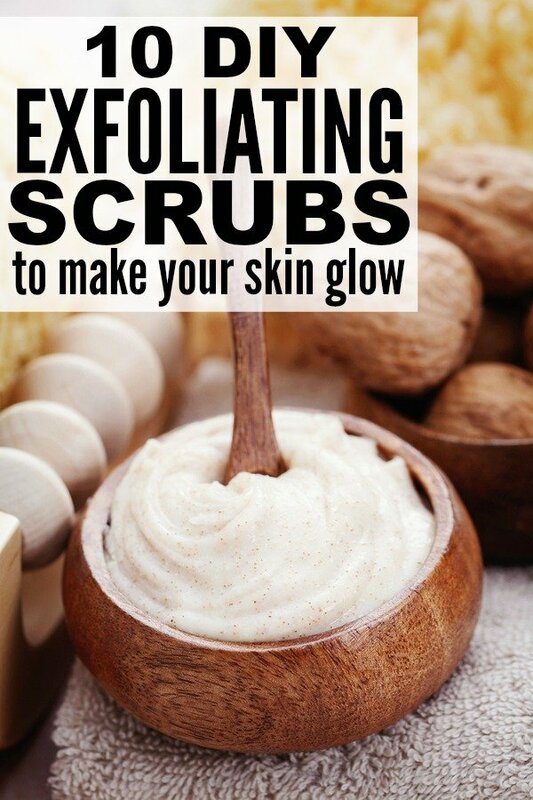 If you liked these DIY exfoliating scrubs as much as us, please share them on Pinterest! And if you’re looking for more beauty-related tips and tricks to make yourself look gorgeous year-round, please follow our Beauty board where we share all kinds of great ideas!